Every year dawns at us with aspirations, opportunities and gifted moments. As the year folds its last page, so do we gather our thoughts upon the same. This time WOW prompt was "2016 Throwback" where we asked our dear bloggers to pen down their thoughts on the same. 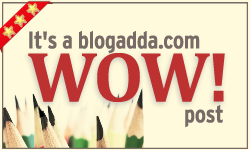 With a heart full of warmth and gratitude we thank each blogger for participating. We are extremely happy to receive your entries. We wish you a very happy new year. Continue writing and celebrate blogging!